Carrd - Simple, free, fully responsive one-page sites for pretty much anything. Build one-page sites for pretty much anything. 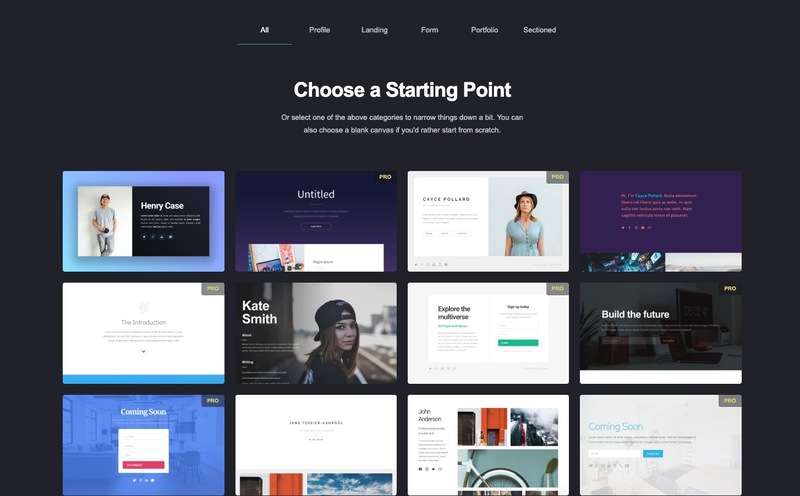 Whether it's a personal profile, a landing page to capture emails, or something a bit more elaborate, Carrd has you covered. Simple, responsive, and yup — totally free. Build and publish more than three sites from a single Carrd account – from 10 sites on a Standard plan to 100 sites on a Max plan. Access premium starting point templates exclusive to Pro (Standard, Plus, and Max). 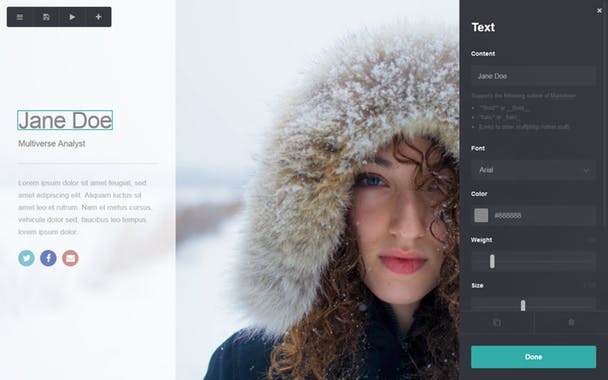 Publish sites with bigger, higher quality images and backgrounds. Upload and use images/GIFs up to 8MB and videos up to 32MB. Show custom icons (aka "favicons") in the address bar when visiting your sites. Show custom images (instead of screenshots) when sharing your sites on social media. Build sites with more than 100 elements (the limit for sites built with free accounts).